Japan. Just that word is enough to send shivers down my spine. A country I long to visit since I was merely 12 years old or so. My reasons to visit Japan changed over the years. Starting off with my interest in anime and fashion subculture like many others. Although my interests changes over the years as I matured, my love for Japan didn’t waver. Instead, it pushed me to take up Japanese classes in order to be able to understand the Japanese dramas I love and landed me to where I’m today. On 30th October 2015, my journey to Japan started via a flight to Kansai International Airport accompanied by my Japanese class classmate, Ling. I will be joined with my Japanese teacher and his friend Leonard, there. It was a long flight and as my flight was delayed by an hour, it was already dark outside by the time I arrived in Kansai International Airport. Hungry and worn out by the long journey, all I wanted was to get to the hotel and find something to eat. However, I have to figure out how to get to the hotel first. Thankfully, the staff in the airport train station was really helpful. He advised me on the nearest train departure time and also the fastest and cheapest option to take to get to our destination. The staff even taught me how to use the ticket machine to buy my train ticket. A lifesaver indeed. Even though the train operated above ground, I didn’t have a chance to take a good look at Osaka as it was already hours after sunset by the time I took the train ride to the hotel. Day 1: We got up way earlier than planned on the first day of my stay in Osaka. 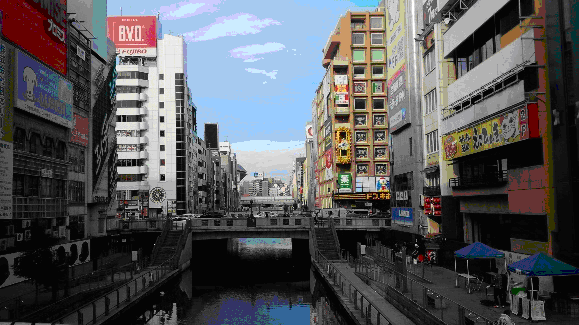 It was only 8am or so when we left our hotel and headed for Namba and Dotonbori. 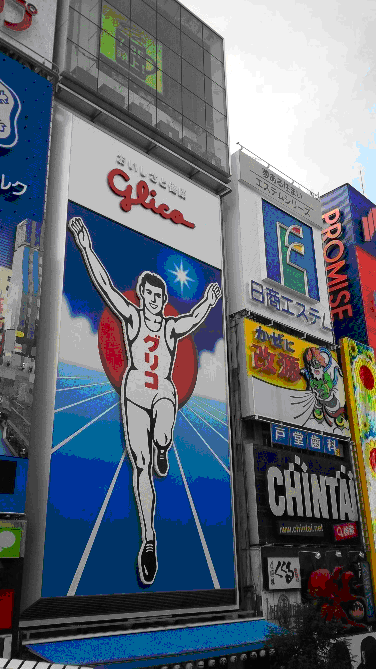 It felt like a dream to me, to be walking down the streets in Japan, taking in the sights and sounds, where all conversations, sign boards and announcements are made in Japanese. Feeling the cold wind blowing at me, as I pulled my jacket tighter around me, having dressed in thin summer wear, which was not really suitable for autumn weather in Japan. The crisp cool air was a welcome change from weeks of haze back in Singapore. 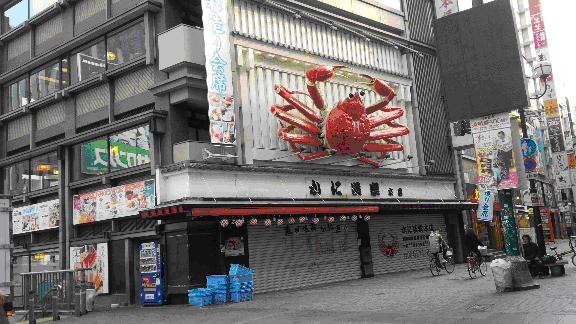 We reached Namba at around 9AM. Most shops were still closed and there were very few people around as many choose to sleep in on such a fine Saturday morning. That gave me a chance to take a good look around Namba without needing avoid the crowd. We had breakfast at Matsuya and second round of breakfast in St. Marc Café. I had tried St. Marc Café’s Matcha Latte before back in Singapore. I was expecting the same milky taste but to my surprise, Matcha Latte from St. Marc Café in Japan is less milky, well steamed with a stronger matcha taste which I love! How I wish St. Marc Café in Singapore offers the same great taste as those in Japan too! After a bout of karaoke, we burnt off even more calories by walking to Den Den Town. Den Den Town is like a laidback version of Akihabara. Lots of anime, manga merchandises along with brand new and second-hand electronic products can be found there minus the crowd. The weather was very cooling that day. Slight breeze with sun occasionally shining through the clouds. Perfect day for exploring Den Den Town. 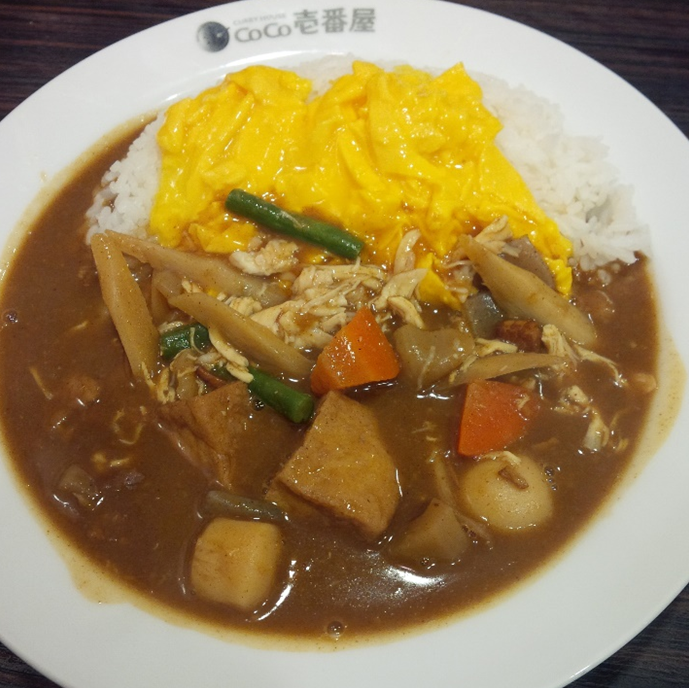 After several hours of exploring the place, we had lunch in the famous curry house CoCo ICHIBANYA. Both Ling and I went our separate ways after lunch and stumbled upon a tax free drugstore which also sells various accessories like watches and electronical beauty appliances such as hair dryer. I’ve longed to purchase a Made in Japan watch after discovering their existence. I was fascinated by how these watches from familiar brands like Citizen, Seiko, Casio etc. easily found in Singapore are very different from their counterparts in Japan. Their domestic models includes watches that are able to charge via natural/artificial light and are able to adjust the time according to the time zone you’re in when you’re overseas via radio wave. Ling and I made our way back to the hotel after that. After a short rest, we had okonomiyaki, yakisoba and kushikatsu for dinner in a bustling restaurant where lots of celebrities frequent. Being first timers to such place, we left the cooking to our Japanese teacher who cooked it swiftly and skilfully. A simple but delicious meal. No wonder these are the must try street food in Japan! The sun has already set hours ago by the time we reached the top of Umeda Sky Building. Strong winds were blowing at us but that didn’t stop us from feasting our eyes on the sight of Osaka city below us. Gorgeous city lights all around with an exceptionally bright moon shining in the night sky. My 1st day in Osaka, Japan was ended off with a surprise from my Japanese teacher. A delicious fruit cake which he ordered all the way from Hokkaido to celebrate Leonard and mine 1st trip to Japan.